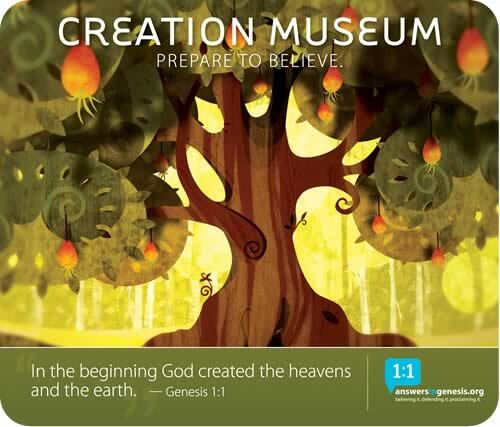 This week a headline caught my attention: “Lightning Strikes Creation Museum During Kentucky Storm.” How ironic is that? The American Atheist Convention goes off without a hitch and the Creation Museum gets hit with lightning. Like a comic book made in heaven just for me. “Atheist churches” have opened across the U.S., apparently ignorant of the meaning of the word “church”: originally from kyriakon, Lord’s house. It’s like they have “Irony” tattooed on their foreheads. “Creationist scientists” limit science to Genesis 1 – 11, blissfully dissing the “scientific method.” My mind is spinning with the juxtapositions. Like a spiritual whirly-gig. Behind my enjoyment is, of course, the conviction that these people, atheists and creationists, are all very peculiar and I am quite normal in my approach to God (or not-God). An astrophysicist once said, “We can’t really prove that Venus is not carried around the sun on the back of an angel.” What a refreshingly quirky observation. Einstein said, “If you want your children to be intelligent, read them fairy tales. If you want them to be more intelligent, read them more fairy tales.” Fairy tales? How can Einstein insult our intelligence like that? And a physicist admitting he can’t PROVE there are no angels spinning us around in the solar system? These are two great examples of science and myth walking happily down the road hand-in-hand. We humans, however, lust after certainty, any certainty. We’ll grab at one like a merry-go-round brass ring. Zen Buddhism is harshly honest about certainty: “Forget about it! Nothing is certain.” No brass ring. Which sounds decidedly uninviting. On August 25th, another headline caught my eye: “Pope Francis to Atheists: ‘Just Do Good’.” No argument there. Found your site by searching for blogs related to belief. I have been an atheist most of my life but recently decided that the worst thing about being atheist is you have no hope for an after life. I therefore created my own 1 man religion based around accepting current scientific knowledge and filling in the gaps with a religious explanation. It works well and the logic is holding up well against both atheists and religious people. I’d love you to visit my blog and tell me what you think.